As a small child I was fascinated by the dinner parties I watched my mother and grandmother give. Though I wasn’t old enough to attend, I would view the preparations with an intense seriousness—realizing on a deep subconscious level that the care and thought these women took into planning a dinner belied something much stronger than just a meal. The careful orchestration of the seating charts…the immaculate linens and silver (polished just for the occasion)…the regimentation of the cutlery…the intricate planning of the menu…the day spent cooking and cleaning and finessing every last detail. The pride that went into every aspect of the night. I always imagined that when I grew up I would seamlessly slip into this same routine, yet my young adult life in New York was marked much more by the club and bar scene. As a historian I have researched and written about great hostesses (Thea Porter was particularly known for her cooking and parties), interiors and dining, but it’s only been in recent years that my desire to follow the path of my mother and grandmother has flourished. All of this has been further reinforced by afternoons spent pouring over my grandmother’s painstakingly catalogued photo albums, which contain many images of parties long past at my grandparent’s home in Geneva. I inherited all of her china glassware—who’s to say I couldn’t have inherited her gift as a hôtesse? In my life and here at Lady, we are seeking a return to the good ole’ luxury of entertaining at home. The aesthetics of entertaining and dining have shifted over the last few decades, moving away from the glamour that really defined finer home dining for centuries. Inherited China and silverware have been stored away in cupboards in pursuit of a minimalist, more casual and faux-rustic vibe. As every style has its moment—and trends are largely cyclical—it seems that old age glamour and luxury is ripe for a comeback. 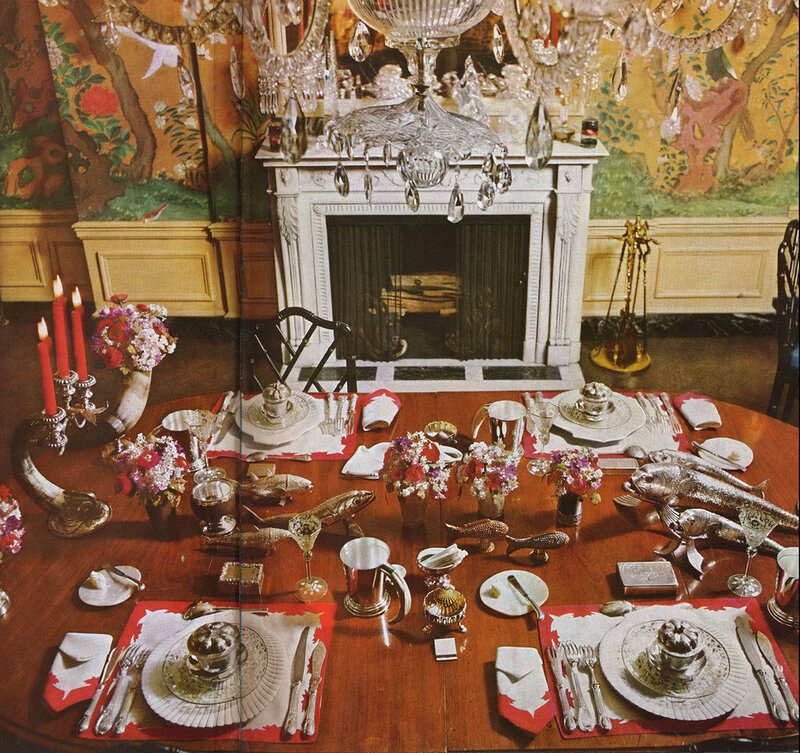 The point is not to concern yourself with replicating Henry VIII's dinner table (though that would be amazing), but to celebrate the niceties and objects of the past. Send proper invitations and make matching place cards. Use your grandmother's China (or a found set from the flea market). Mix it with a tablecloth made from Indian fabric from the local import shop. 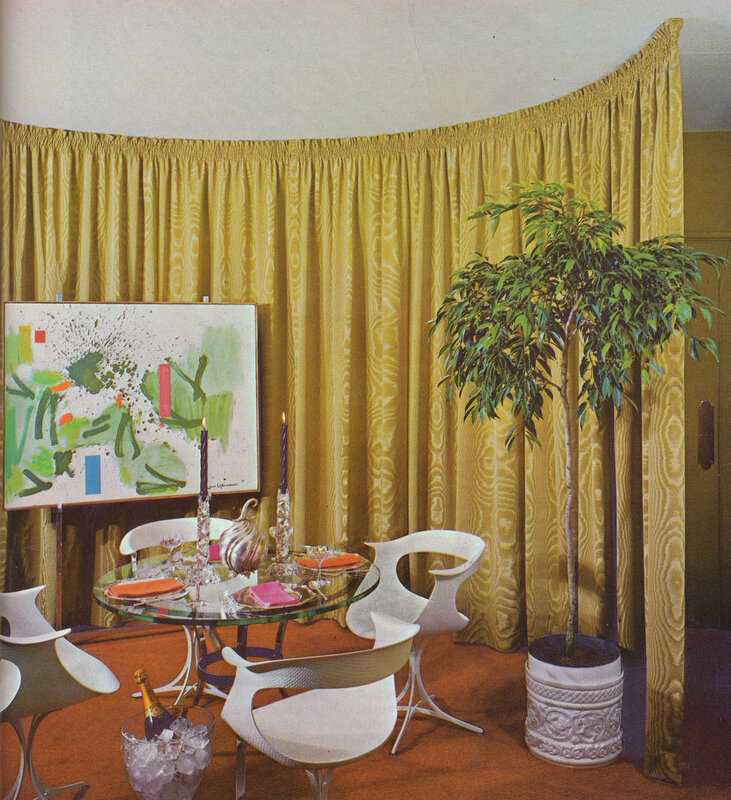 The gallery above is some of my favourite table inspirations from my collection of books on entertaining. The Lady way of entertaining applies as much for a quiet lunch with your lover or an ornate dinner party. Put in the effort for the joy and beauty of it, and then relax and enjoy the spoils with your guests.